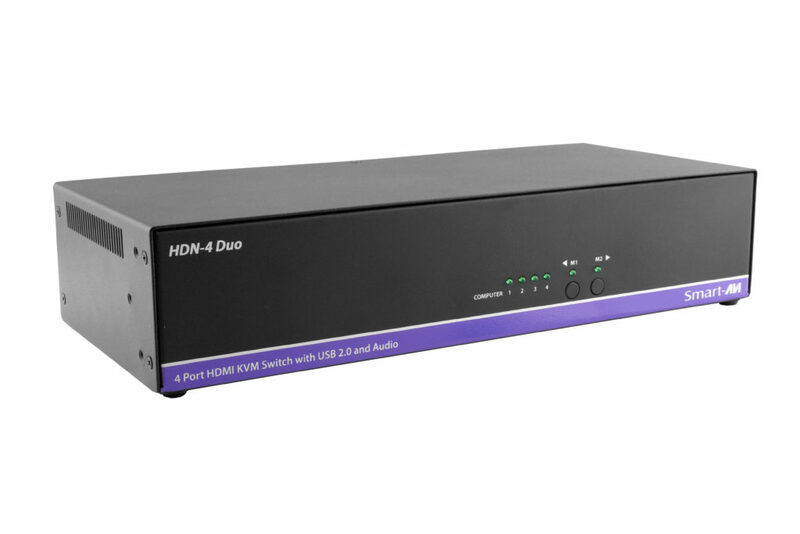 What is the HDN-4 DUO? 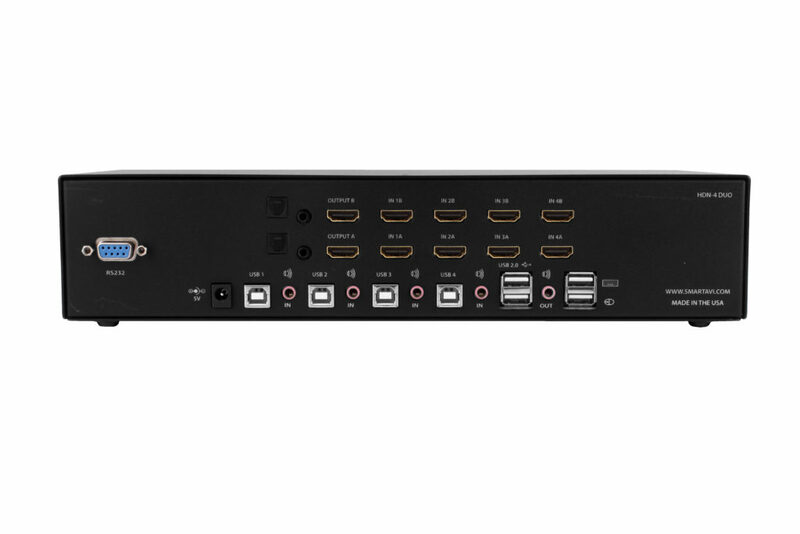 The HDN-4 DUO is a 4-port HDMI KVM switch with USB 2.0, stereo audio, and support for 4K Ultra-HD resolution video. Users can use the HDN-4 DUO to control up to 4 computers from a single keyboard-mouse combo with two 4K-ready HDMI displays. The HDN-4 DUO offers easy source switching via push buttons, hot-keys, and RS-232 commands. It also features full USB keyboard-mouse emulation and EDID pass-through technology smooth, efficient, and uninterrupted switching. How do you control HDN-4 DUO? Push Buttons: The HDN-4 DUO comes equipped with clearly marked push buttons on its front-panel, putting KVM control literally within your reach! Hot-Keys: You can also use hot-key commands directly from your keyboard to control various functions for the HDN-4 DUO, like switching, activation, and more! 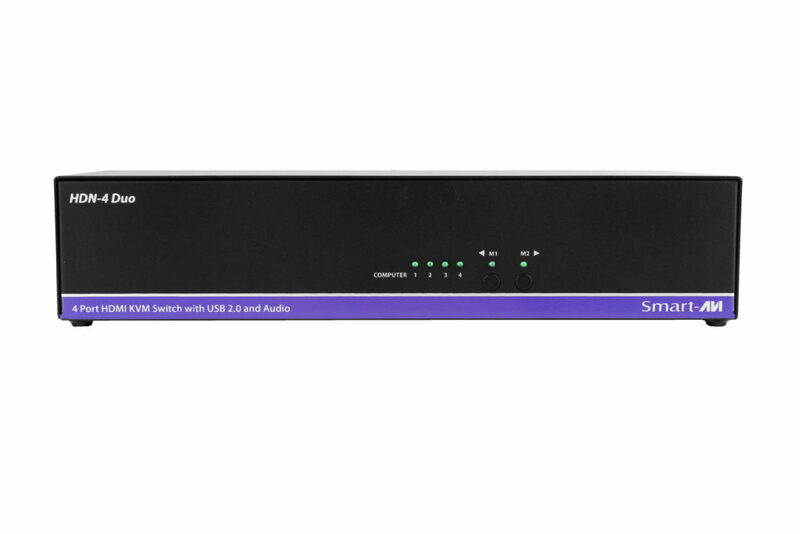 RS-232: Use an external device with RS-232 capabilities to control the HDN-4 DUO-- our easy device integration makes it a breeze to connect the KVM unit to RS-232 ready devices. 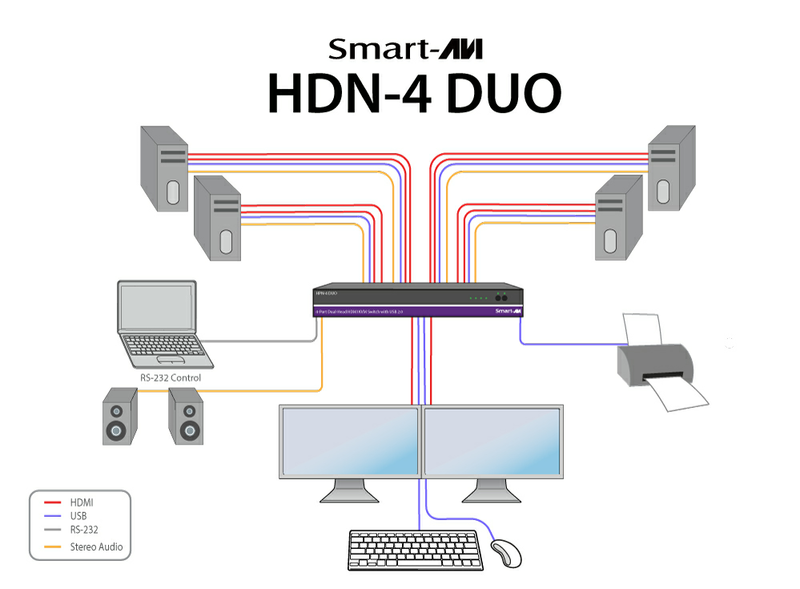 The HDN-4 DUO is an essential KVM switch for a variety of computer-heavy environments. Office buildings, transportation authorities, data centers, and more are all environments where HDN-4 DUO's Ultra-HD KVM capabilities could prove vital for their detailed visuals and efficient control. Switch KVM control on four connected computers from one workstation with two HDMI monitors. Supports resolutions up to 3840x2160 (@30Hz). Supports all USB 2.0 devices, including keyboard and mouse. Complete keyboard emulation for error free booting. Front panel keys for manual switching. DP and DVI supported with adaptors, backwards compatible with prior HDMI versions.